This established Real Estate Business has 9 agents that include the qualifying broker and the 2 owners and all would like to stay with the new owner. All employees are independent contractors. This successful office has plenty of active listings and strong sales every month. In 2018 the business sold 65 properties with over $25 million in sales. IN 2019 this company was ranked number 39 out of 269 real estate offices in the Baldwin County. They have a very active and profitable property management side with 16 short term rentals and 9 long term rentals. In January of 2019 they just added a new resort condo facility that all sales and property management activities exclusive to this business this now has 30 short term units in the system. The business just purchased a specialized property management software program to handle the new business and this will allow them to continue to grow even more. All of this is in the fastest growing county in Alabama and all along this Gulf Coast resort area. The business recently acquired new space and is in the process of expanding, this new location is very visible on the main beach highway. This will give them more room for offices plus more services can be added. The sellers would like to stay and work as agents for a new owner; both are just ready to slow down and work at a reduced pace. Price to sell fast and great opportunity to live and work in a Gulf Coast paradise. Persona financial statement required; this does not include any Real Estate and does not qualify for co broker. Price to sell fast and great opportunity to live and work in a Gulf Coast paradise. 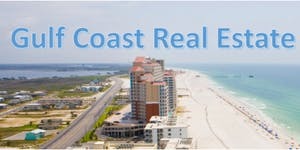 Located near the beautiful Alabama and Florida Gulf Coast beaches and in in the fastest growing county in Alabama.